Yesterday I watched a beautiful documentary on the evolution of Icelandic music that led up to the creation and culmination of bands like Sigur Rós, Múm, Björk and bands that I'd never heard of, like Amiina and Slow Blow. It was so beautiful and enriching, and all I can think about is music boxes, saws, and traveling to Iceland in the winter. I strongly suggest seeing "Screaming Masterpiece", it is a beautiful film in its entirety. I'm reading "What is The What" by Dave Eggers [still], and it's one of the toughest reads emotionally. 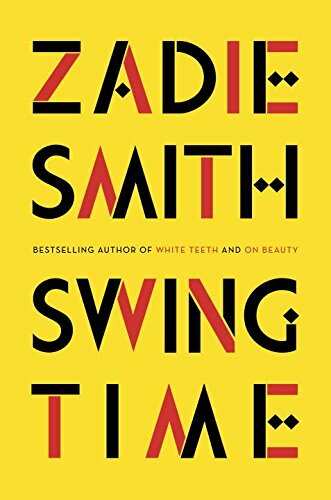 The pain it contains is comparable to a Toni Morrison novel, with the realness of Dave Eggers threaded in, and the voice of Achek Deng tying the whole piece together. It makes me sad to think I know what's going on in the world, but to then realize that there is so much that I am unaware of. I'm ready to learn now. I'm also reading "A Man Without A Country", by Kurt Vonnegut which is a collection of essays he wrote interspersed with illustrations in blue ink, and it's really just an adorable read, which is an odd word to describe Vonnegut, but the first story was just simply adorable and perfect. It felt like Clay wrote it in an email to me. Classes are pretty good this week. It feels like the week is going by fast and slow all at once. Kappa had informal recruitment these past two nights, and I'm looking forward to seeing if we get any new girls. I really love being a part of this, it's really a special group of individuals, and I'm proud to be a Kappa. What else? I start Reading Buddies next Wednesday, which is a volunteer group that reads to second and third graders in the Galesburg community for half an hour a week. I meet my buddy next Wednesday, and I hope they like me! I got my first Stats assignment back, and I got an A! That's the best score I've gotten in math my entire life. Nuts right? Tomorrow I pick a research topic for my Japanese art history term paper, and I'm trying to decide. I might go for Japanese street fashion and research the Fruits movement, or maybe look into the gender binaries associated with geisha culture, but it's so up in the air right now. East Asian Philosophy is really difficult, and I find myself having trouble speaking in the class, maybe because what we're talking about is intimidating. I don't feel as though the students are asking questions that promote discussion yet either, maybe tomorrow's class will prove otherwise? April Fools day was yesterday. Pranks were pulled in the suite. 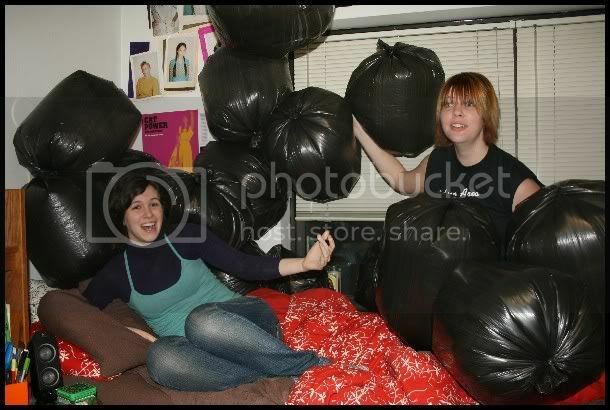 Abby and Kathy filled Zac and Nick's room with garbage bags that they blew up like balloons. It was adorable. My birthday is in 9 days. Mom, Mari and I are going to Pittsburgh at the end of the term to celebrate me being 20 together. Thursday night we might have a spa date, then Friday we will go to a Pirates game to see the vender who screams LEMONADE and COTTON CANDY. (check him out here Esther: http://www.youtube.com/watch?v=AEpQhGajjeU&feature=related) We're going to go to the Andy Warhol Museum, and then Sunday we're having brunch at Frank Lloyd Wright's Falling Water. Basically, my birthday is going to be beautiful. COME VISIT ME FOR MY BIRTHDAY NEXT FRIDAY. I WILL LOVE YOU EVEN MORE IF YOU DO.